Family-owned and operated since 2002! 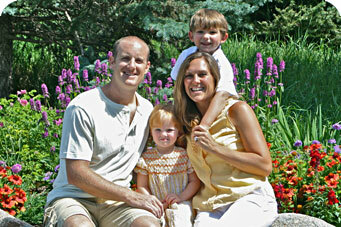 Care 4 Kids Babysitting makes it possible for you to have quality child care on your Vail or Beaver Creek vacation. Baby sitters travel to your hotel, condo or rental house location and look after your kids - ages newborn and up - day or night. They are thoroughly screened to ensure the best care for your children - and peace of mind for you. Sitters all undergo a national background-check, are interviewed in person, have references checked and are CPR-certified. As parents, the owners of Care 4 Kids understand the need for a sitter who will adapt to your parenting style. Care 4 Kids knows its sitters personally and chooses the best fit for your family. Any sitter sent to you is one the owners would use for their own kids, Alex and Millie! Check out the many satisified customer testimonials!